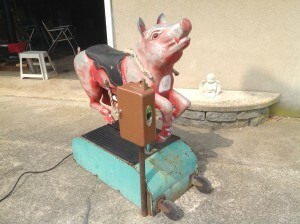 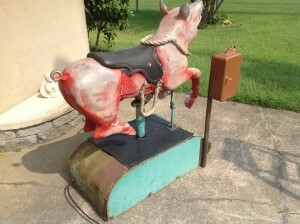 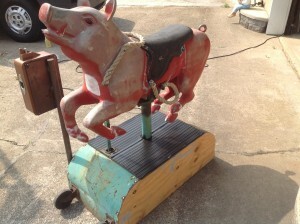 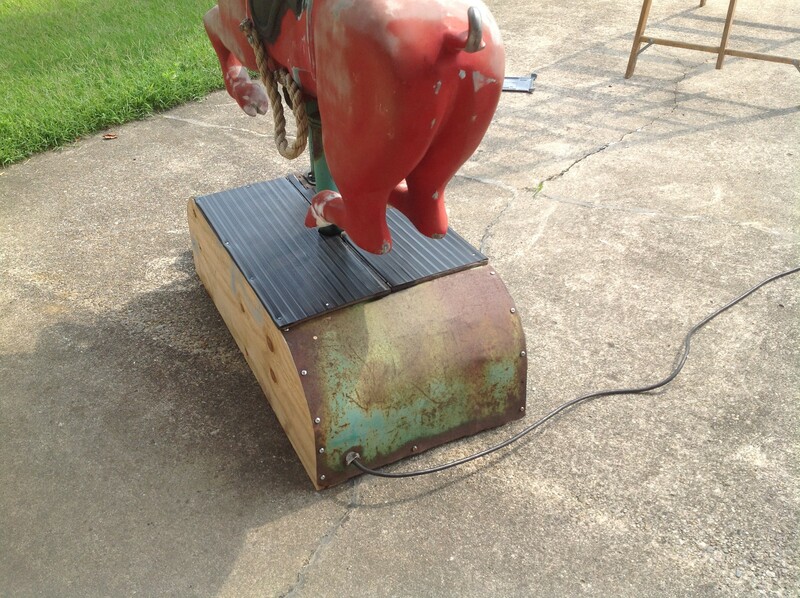 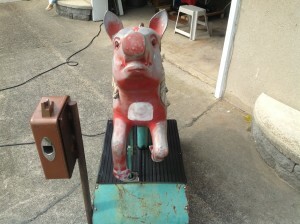 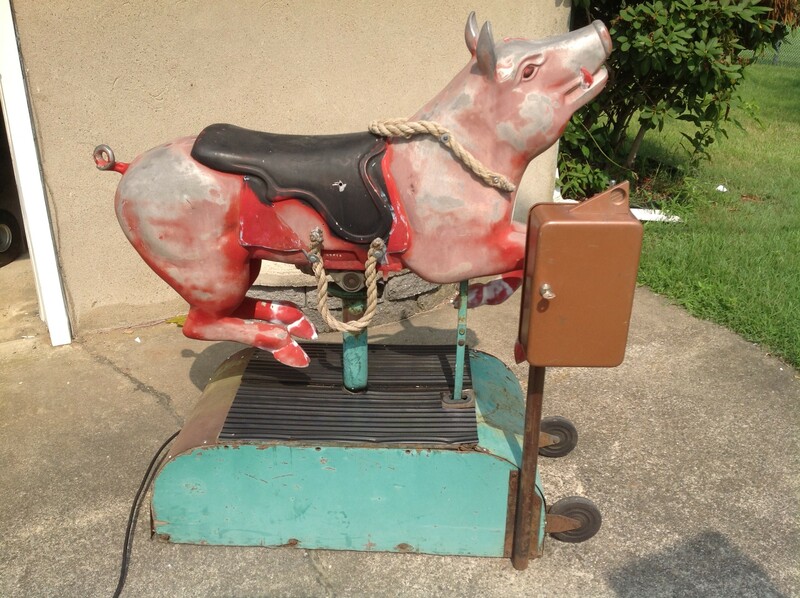 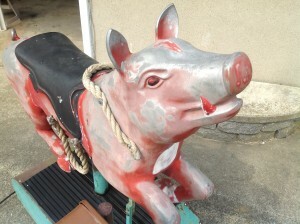 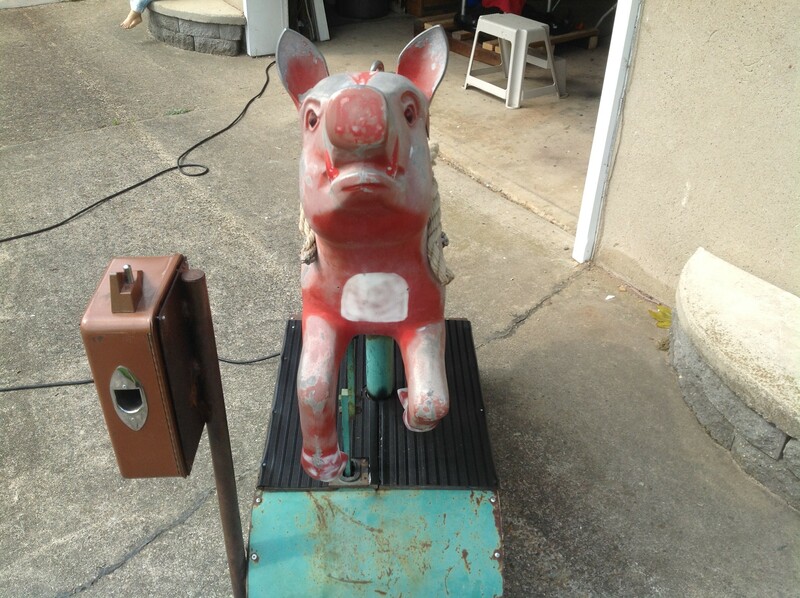 1950’s coin operated penny arcade kiddie pig ride in as found working condition. 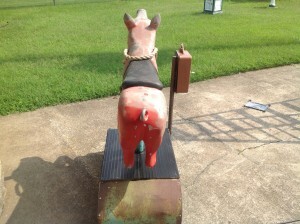 She will need some restoration but looks to be complete with the exception of the missing saddle. 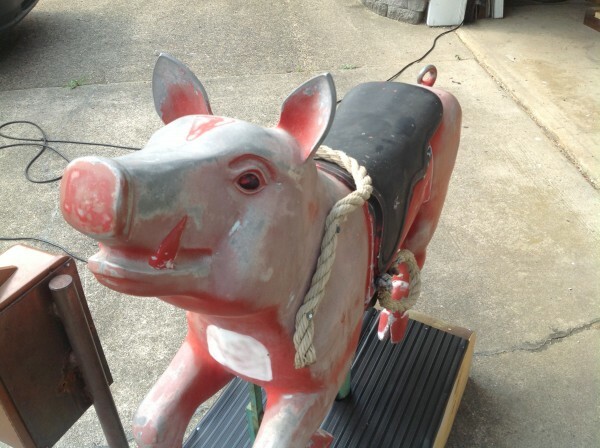 Pig rides are rare, so make this a special project for the grand kids to enjoy……….